Harvest the waters in Campbell River, B.C. 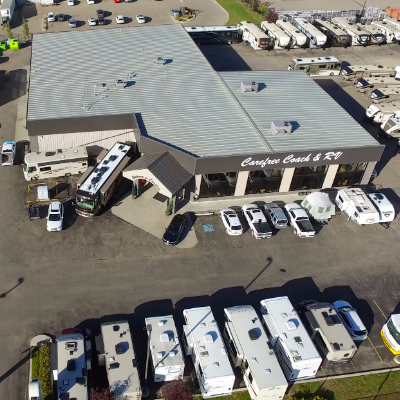 The pretty city of Campbell River, B.C., on the east coast of Vancouver Island, is a hub for commercial and recreational coastal fishing. At Campbell River’s Fisherman’s Wharf, shoppers can have their pick of seafood harvested from the coastal waters, including mussels, oysters, scallops, prawns, clams, crabs, lingcod, rockfish (known as Pacific red snapper), halibut and salmon. Incoming fishing boats offer freshly caught fish and shellfish, and retailers at the wharf have both fresh and frozen wares for sale. Take your purchases back to your home base and enjoy crab meat drenched in lemon butter; barbecued prawns dipped in tangy horseradish sauce; rich salmon fillets baked under a thick rub of brown sugar and garlic; and tender scallops, seared and simmered in a creamy white wine sauce. The star ingredients for these and many other decadently delicious dishes can be found in the waters of Canada’s West Coast. 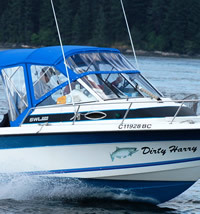 If you’d like to be actively involved in the harvest of your dinner ingredients, you can opt to fish from Discovery Fishing Pier or book a guided fishing trip with one of about 40 charter companies in and around Campbell River. An elaborate charter can include a flight to an isolated lodge offering fine dining and luxurious accommodation; a simpler charter can mean a few hours with a knowledgeable guide out on the ocean or on an inland lake or river. In any case, you’ll have the opportunity to experience the adrenalin rush of pitting your skill against the strength and instinct of a fighting fish—very satisfying even if you catch and release. 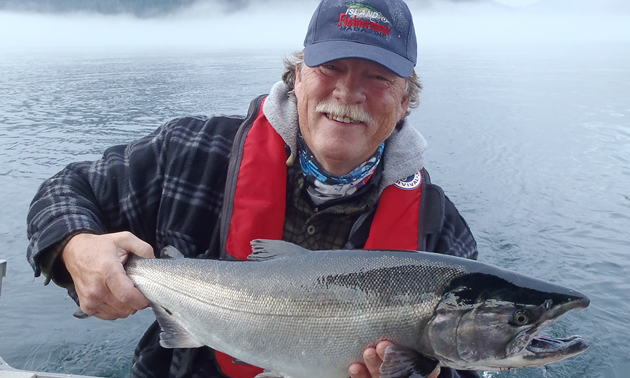 For a concentrated sampling of Campbell River’s culinary best, plan to attend the 48th annual Salmon Festival and Logger Sports event, taking place on August 7, 8 and 9, 2015. The festival includes the annual Seafood Showdown—a competition for professional and amateur cooks. In this event, it’s the members of the tasting audience who are the biggest winners. If you need another inducement to visit Campbell River this summer, consider a taste tour of the many farms and vineyards in the vicinity.